A swath of lawn is all that sits between the multilevel house and miles of sandy beachfront. 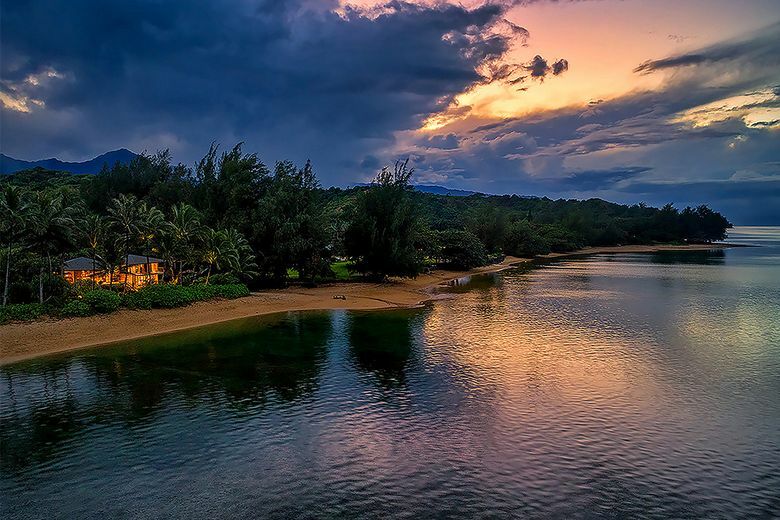 Author Kristin Hannah has put her longtime home in Kauai, Hawaii, up for sale at $10.75 million. 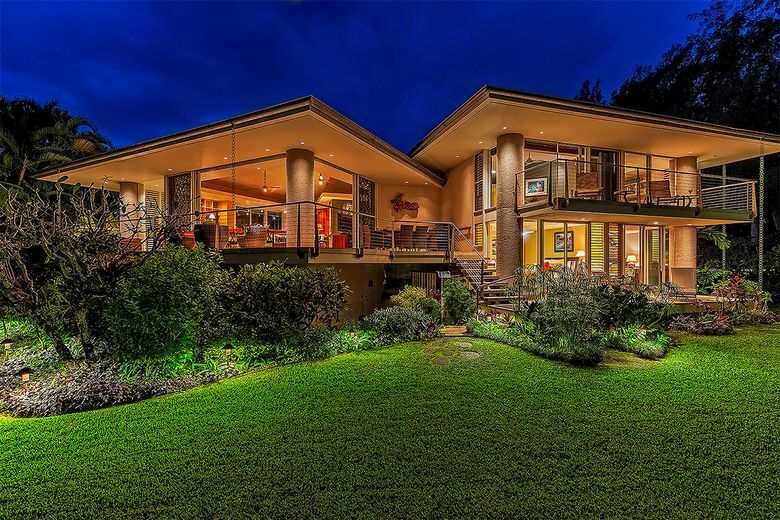 The oceanfront contemporary sits on about half an acre in the desirable North Shore area. Built in 1998, the multilevel house features two offset wings, each with 9-foot-tall pocketing glass walls oriented toward the ocean. Balconies and patios on each level make the most of the coastal setting. Inside, a combination of high ceilings and natural light create volume from room to room. The floor plan includes an ocean-view office, a great room with a fireplace, a wet bar, three bedrooms and 2.5 bathrooms. Custom Koa wood cabinetry stands out in the kitchen. 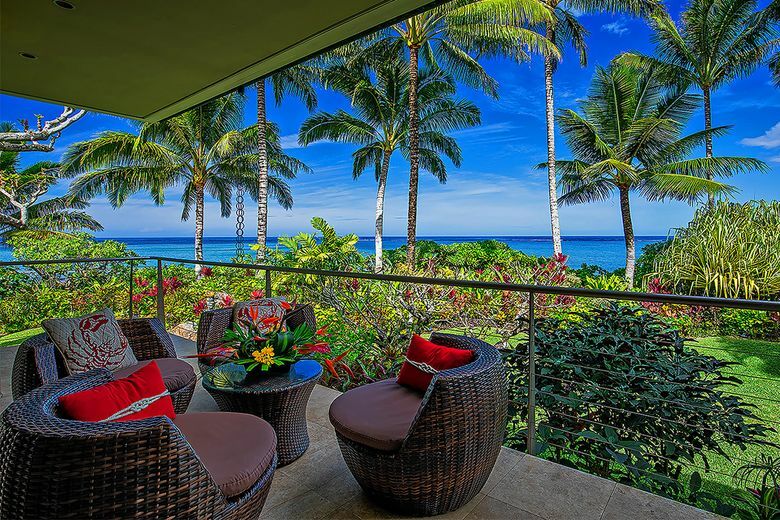 Outside, tropical landscaping and ocean views create a backdrop for a dining lanai. A swath of lawn sits between the house and miles of sandy beachfront. Hannah has written more than a dozen novels including “Firefly Lane,” “On Mystic Lake” and “The Nightingale,” the latter of which was a New York Times bestseller. Her latest book, “The Great Alone,” also made the New York Times list as both print and audiobook bestseller this year. She bought the place more than a decade ago for $4.45 million, records show.